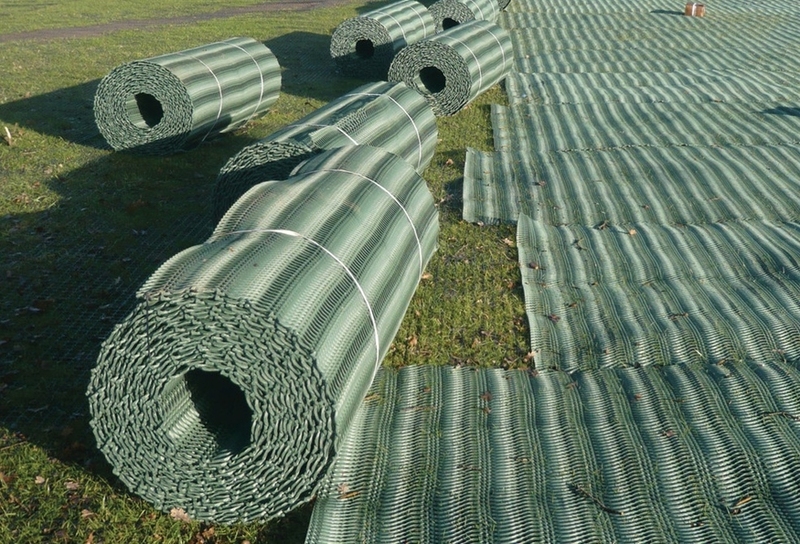 We recommend 200 steel U-pins per roll for grass reinforcement mesh 2m x 20m rolls. 2mx20m roll of 13mm thick standard grade grass reinforcement mesh for protecting grass prone to wear, smearing, rutting and becoming a muddy mess! 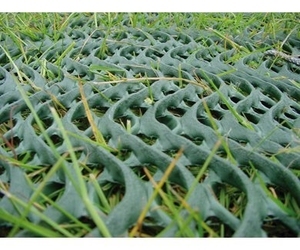 Laid directly on the grass the, British manufactured recycled plastic mesh protects grass from vehicle damage including cars, vans and bikes. 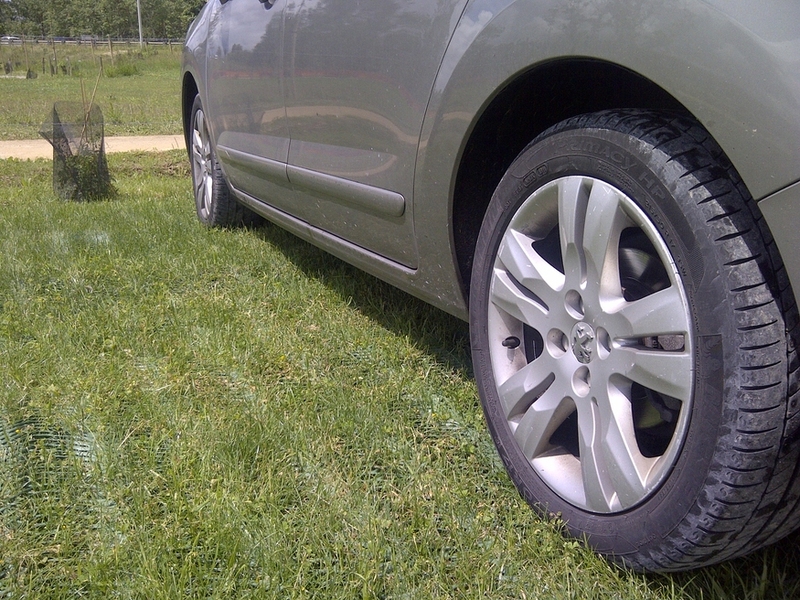 GRASSPROTECTA Medium 13mm grade has an oscillated mesh structure that provides greater traction and high slip resistance. 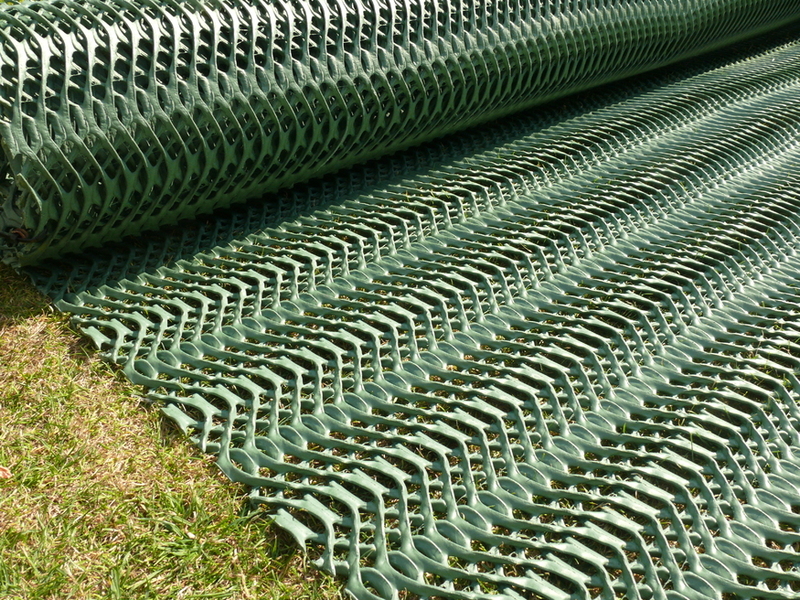 GRASSPROTECTA grass protection mesh is simple to install by laying directly onto the grass to be reinforced using steel u-pins. 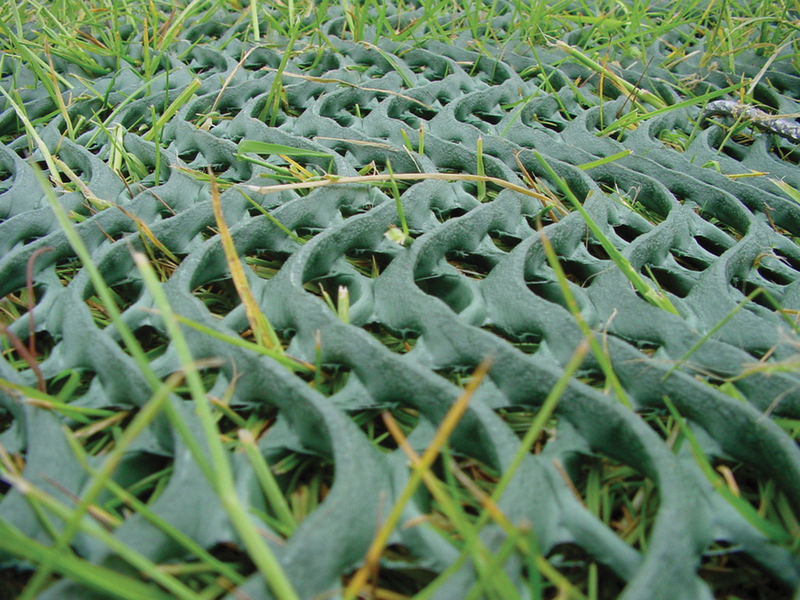 The grass sward grows through the mesh apertures and knits with the plastic mesh filaments to create a strong, invisible structured reinforced surface which is capable of withstanding vehicle loads, limiting damage and helping to reduce ground caused by vehicle wheels. The grass can be mown, rolled and fertilised as normal during this period and the mesh soon becomes unobtrusive.